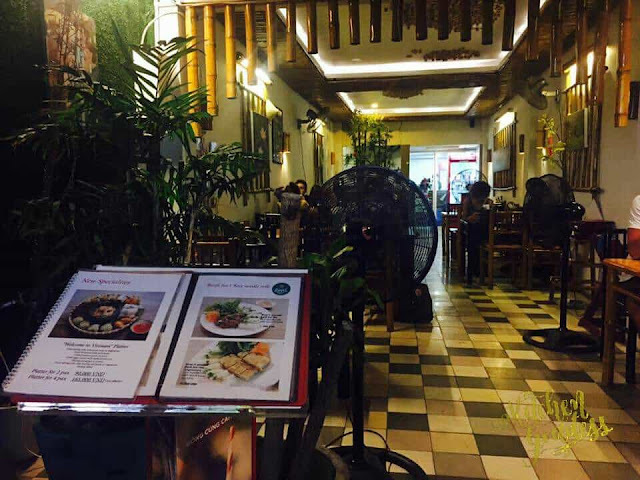 Royal Saigon Restaurant is one of the most popular tourist choice in Ho Chi Minh City. 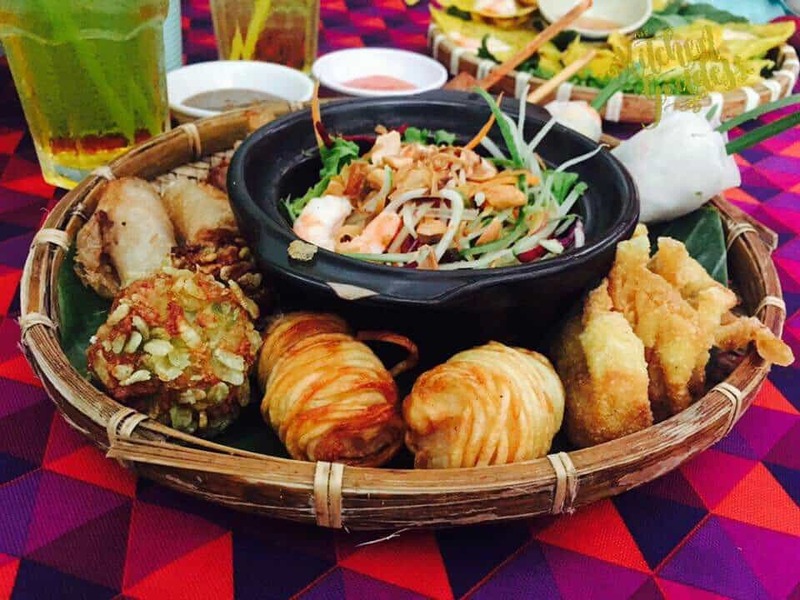 Maybe it is also because it is located at Bui Vien, which is the tourist hub in HCMC. 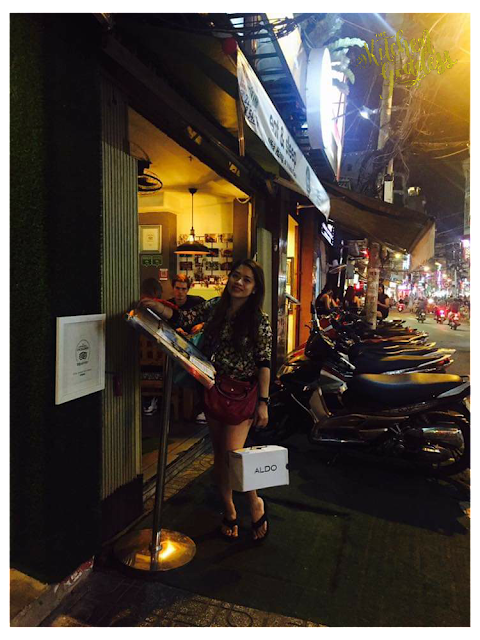 And it was actually my friend who wanted to eat at Royal Saigon, I just happily tagged along. Royal Saigon is not just a restaurant, it also offers bed and rooms to travelers. 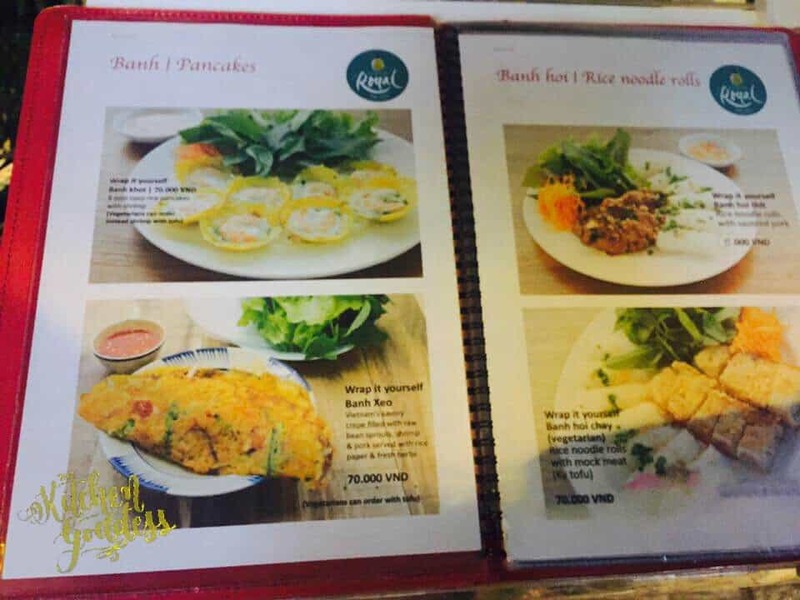 Bui Vien turns into a party street every night so expect menu prices to be a bit high compared to other restaurants. But hey, everything is affordable in HCMC. I'm just comparing the prices between Bui Vien and other area in Saigon. It has a very relaxing ambiance and I nice place to hangout with a beer in hand. It is best to arrive around 6pm because you can still choose your table, otherwise, prepare to wait. We also tried dining there during lunchtime and discovered that the restaurant is less crowded. 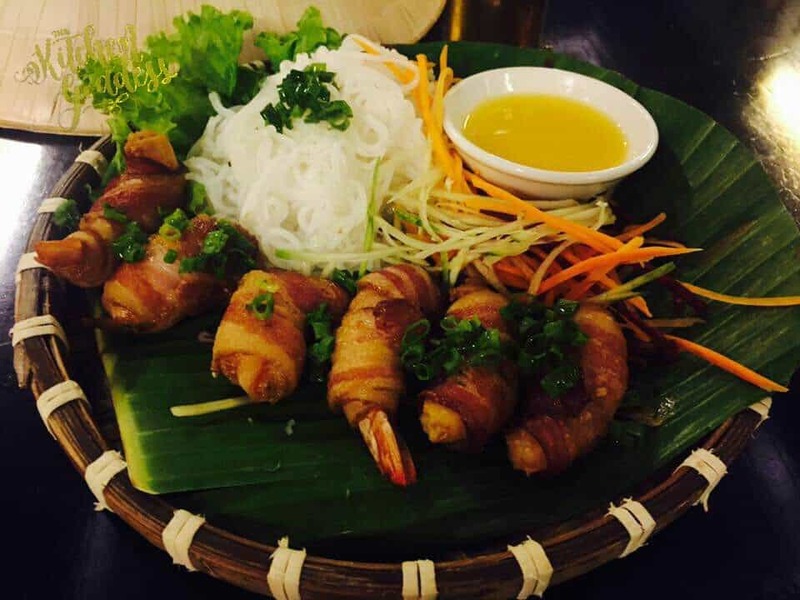 Prawn Wrapped in Bacon with Passion Fruit Sauce. This is one of the restaurant's most popular dish. Great as a meal since it has some noodles or great with beer or wine. Of course, most of us loves bacon, and especially if it is lovingly wrapped on a prawn. The fruity sauce was a nice accompaniment also since it adds sweetness to the otherwise salty bacon. Delish! Royal Platter. 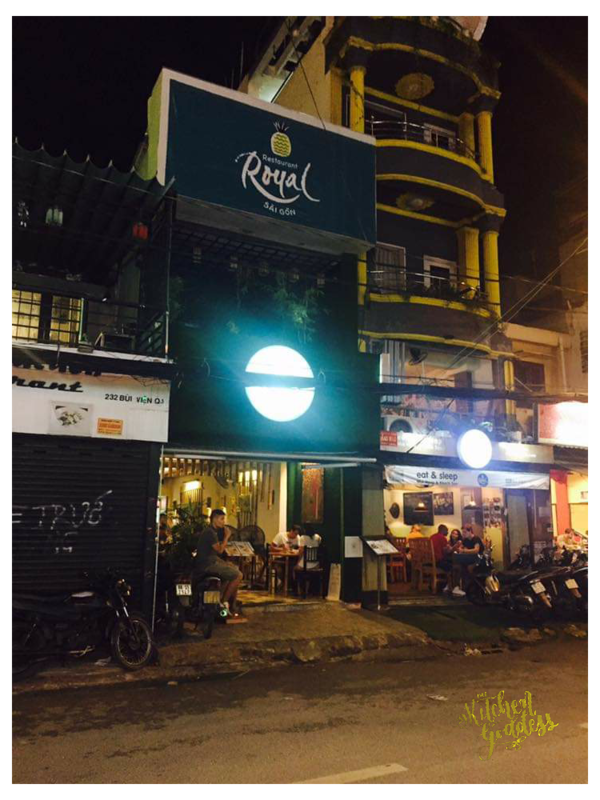 When you can't think of what to order, you can opt to get the Royal Platter which basically has every popular dish of the restaurant. This can be eaten solo if you have that much appetite, or shared. 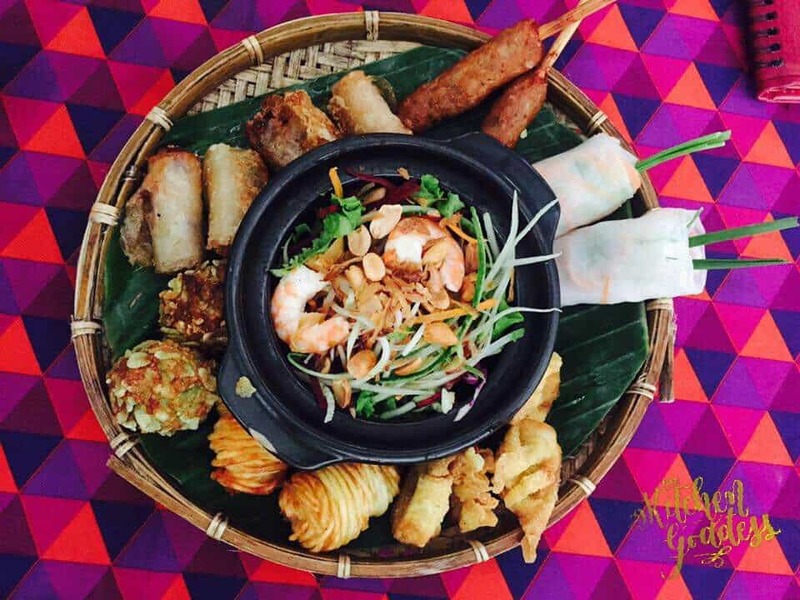 Everything of the platter really looks mouthwatering. 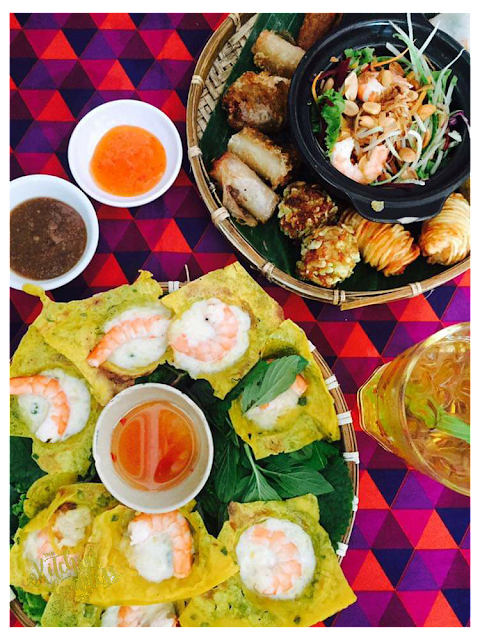 Another notable feature aside from being delicious is that the dishes at Royal Saigon are Instragrammable. Pancakes with Shrimp. 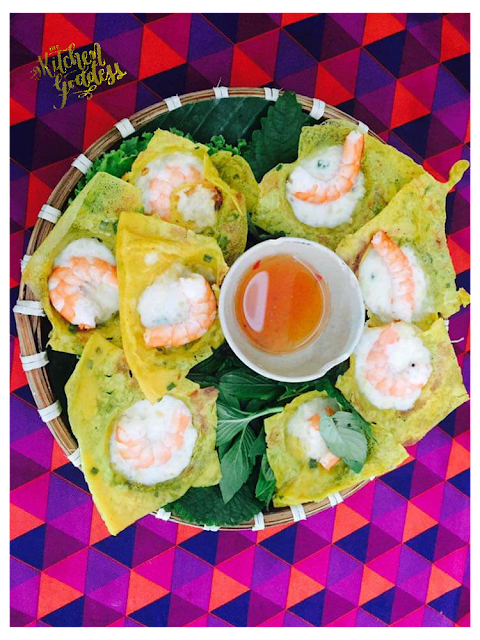 If there's a familiar Vietnamese dish for me, it is this Pancakes with Shrimp which reminds me greatly of the dishes I ate at the 2017 World Street Food Congress held in Manila. Prior to that event, my Vietnamese food knowledge revolves around Pho, Banh Mi, and Vietnamese Spring Rolls. Summing it up, my friend and I had a wonderful and memorable meal at Royal Saigon. She even got to buy a painting from a nearby art store, and we got treated to Trung Nguyen Coffee.